Franchise of Computer Centre, Akhil Bhartiya Computer Shiksha Abhiyan, Start computer center? Akhil Bhartiya Computer Siksha Abhiyan(ABCSA) is running under High-Tech Information Technology Development as a Society/Trust Registered Under The Societies Registration Act, 1882 Under Section 60 Vide Registration No. 1483/IV From Govt. Of India, NCT Delhi And Also Registered Under The Society Act 1973, Under Section 44 Registration No. 07/33/04/13330/16 From Govt Of M.P. A LIFE LONG LEARNING COMMUNITY WITHOUT BORDERS. We use flexible approaches to make I.T. education accessible to all – anytime, anywhere. Our Learning environment is specially designed for the convenience and accessibility of adult learners of any age, gender, ethnicity and background. The dream of Honourable Former President of India Dr. A.P.J. Abdul Kalam is to transform India into a developed nation by 2020, and this is possible only when in this electronic era every one will become computer literate and to fulfil this dream ABCSA is established and working continuously. An Autonomous Institution Registered Under Govt. of India. Any one who is resident of India can take franchise of Akhil Bhartiya Computer Shiksha Abhiyan(ABCSA), An ISO certified institution and run center in village, city, tehsil etc. Our main focus is to make every one aware of computer, This is digital age and so it is necessary to understand the technology for smooth processing of works. So there is great need of good computer centers in india. 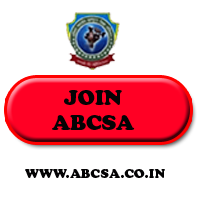 ABCSA mission is to provide best quality computer education to students. Another aspect is to develop professional qualities in students so that they must use there knowledge at there best level. ABCSA also upgrade about the latest developments in IT world. ABCSA don't give FREE EDUCATION but we provide QUALITY EDUCATION at affordable fees. For details of franchisee you can contact. Best computer franchise offer, Affiliate your computer center by Akhil Bhartiya Computer Siksha Abhiyan, Open computer center at a very low cost. , Franchisee of Computer Centre, Akhil Bhartiya Computer Shiksha Abhiyan, Start computer center?. Best computer franchise offer, Affiliate your computer center by Akhil Bhartiya Computer Siksha Abhiyan, Open computer center at a very low cost. , Franchisee of Computer Centre, Akhil Bhartiya Computer Shiksha Abhiyan, Start computer center?.,Best computer franchise offer, Affiliate your computer center by Akhil Bhartiya Computer Siksha Abhiyan, Open computer center at a very low cost. , Franchise of Computer Centre, Akhil Bhartiya Computer Shiksha Abhiyan, Start computer center?.,Best computer franchise offer, Affiliate your computer center by Akhil Bhartiya Computer Siksha Abhiyan, Open computer center at a very low cost. , Franchise of Computer Centre, Akhil Bhartiya Computer Shiksha Abhiyan, Start computer center?.,Best computer franchisee offer, Affiliate your computer center by Akhil Bhartiya Computer Siksha Abhiyan, Open computer center at a very low cost. , Franchise of Computer Centre, Akhil Bhartiya Computer Shiksha Abhiyan, Start computer center?.,Best computer franchise offer, Affiliate your computer center by Akhil Bhartiya Computer Siksha Abhiyan, Open computer center at a very low cost. , Franchisee of Computer Centre, Akhil Bhartiya Computer Shiksha Abhiyan, Start computer center?. Best computer franchise offer, Affiliate your computer center by Akhil Bhartiya Computer Siksha Abhiyan, Open computer center at a very low cost. , Franchise of Computer Centre, Akhil Bhartiya Computer Shiksha Abhiyan, Start computer center?.,Best computer franchisee offer, Affiliate your computer center by Akhil Bhartiya Computer Siksha Abhiyan, Open computer center at a very low cost. , Franchise of Computer Centre, Akhil Bhartiya Computer Shiksha Abhiyan, Start computer center?.,Best computer franchise offer, Affiliate your computer center by Akhil Bhartiya Computer Siksha Abhiyan, Open computer center at a very low cost. , Franchise of Computer Centre, Akhil Bhartiya Computer Shiksha Abhiyan, Start computer center?.,Best computer franchise offer, Affiliate your computer center by Akhil Bhartiya Computer Siksha Abhiyan, Open computer center at a very low cost. , Franchise of Computer Centre, Akhil Bhartiya Computer Shiksha Abhiyan, Start computer center?.,Best computer franchisee offer, Affiliate your computer center by Akhil Bhartiya Computer Siksha Abhiyan, Open computer center at a very low cost. , Franchise of Computer Centre, Akhil Bhartiya Computer Shiksha Abhiyan, Start computer center?. Franchise offer to open computer center in Navratris, Franchise offer to start computer center in Dushera, franchise offer to enter in computer education center in India in Diwali. If you are planning to start computer education center then here is one of the best opportunity by Akhil bhartiya Computer Siksha Abhiyan(ABCA) to open computer center any where in India at very affordable franchise fees. If you want to start any your own work to make career then also ABCSA is providing one of the best opportunity to enter in Information technology sector. Be a part of an ISO 9001:2015 certified institution and start earning from the Ist day. 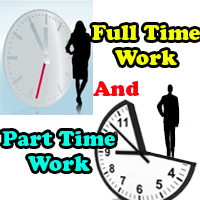 You can work part time, full time and there is no burden of any target, so join without any hesitation. ABCSA is providing the best online facilities for students as well as for the franchise holder. Any one who is resident of India and have space to teach students can take franchise and start earning immediately after taking franchise. There is an scope for freshers. There is scope for IT professionals. There is an scope for housewives. There is an scope for Marketing professionals. Akhil Bhartiya Computer Siksha Abhiyan is regularly bringing opportunities for every one who want name , fame and money through a reputed work. So grab this opportunity and enter in field of Information technology now. Are you interested in increasing your income in summer vacations then here is one of the best job which will help you work without pressure and without time limit. This work is for you if you have knowledge of computer subjects and interested in teaching computer subjects. You can earn by teaching computer subjects as per your convenience. 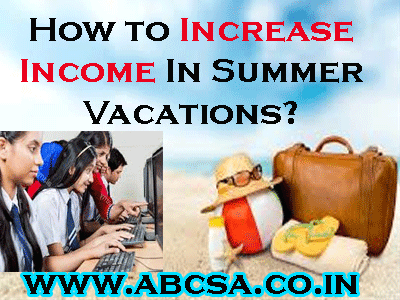 How To increase Income In Summer Vacations? You can take franchise of ABCSA(Akhil Bhartiya Computer Shiksha Abhiyan ), and ISO certified institution and open computer center at your home or anywhere else and earn as much as you can. You can work as part time or full time and not only in summer vacations, you can run your center whole year, life long. For details do email us or call on +91 9981078797. One can start earning any time and anywhere in India. One can start with minimum 2 computer. 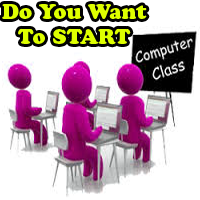 You can start from home or if you have cyber cafe, or any space at your home, office etc. Easy process to get franchise. Start certificate courses, diploma courses, advance diploma courses, vocational training courses. Choose best career to make life wonderful. Take franchise of ABCSA now and start your own computer coaching center at your own place. Earning opportunity for summer vacation, computer center franchise, iso certified institute franchise.